A classic and perfect party dish! 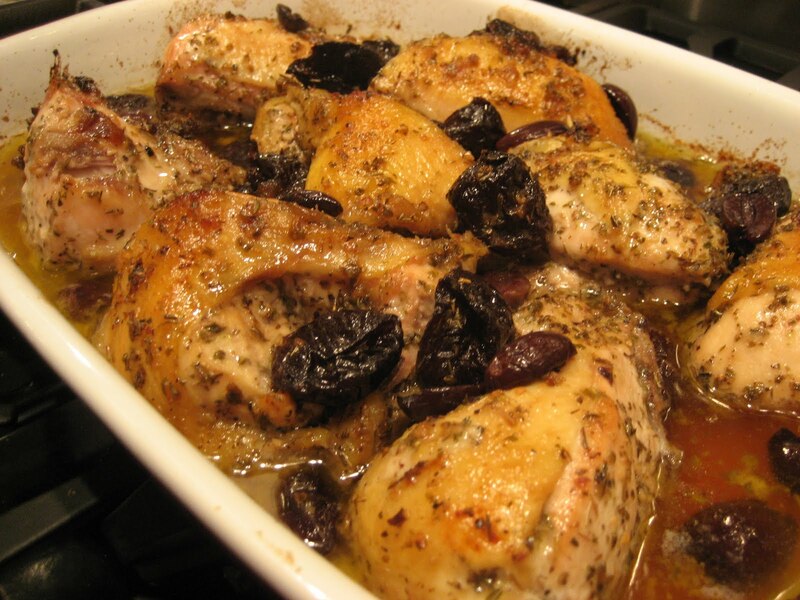 This recipe is adapted from the popular and admired Silver Palate cookbook. Many critics think this was the best recipe from this fabulous book. It's a great dish for entertaining and can be made ahead. The overnight marination is essential to the moistness of the chicken. The chicken keeps and even improves over several days of refrigeration. It's the perfect combination of savory with a hint of sweetness. Everyone will love this dish. It's great served with roasted bliss potatoes and a tossed salad. I used all chicken breast but the original recipe calls for all chicken parts. 1. In a large bowl or plastic bags combine everything through bay leaves. Cover and marinate overnight. 2. Arrange chicken in single layer in one or two pans- spoon marinade over and sprinkle with brown sugar and then pour wine around the pieces. 3. Bake for 50 minutes to 1 hour basting frequently. 4. With a slotted spoon, transfer to a plate and sprinkle some of the sauce on the chicken. Serve remaining juice on the side.